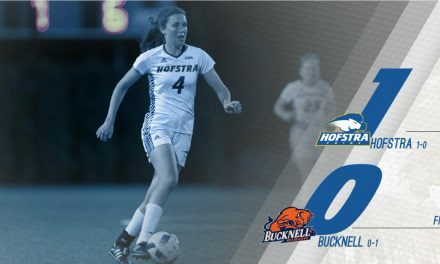 HEMPSTEAD, N.Y. – The Hofstra University women will open their season at Bucknell University at 1 p.m. Friday before playing their first home game against Fairfield University at 1 p.m. Sunday at Hofstra Soccer Stadium. The Pride was voted the overwhelming favorite in the Colonial Athletic Association preseason poll after capturing the league title last season. Hofstra went 9-0 in conference play, claiming the regular-season championship, before beating Northeastern in the title game to earn an automatic bid to the NCAA Division I Tournament. The Pride finished at 15-4-2. Senior defender Madeline Anderson was named CAA co-preseason player of the year after being name the league’s defensive player of the year last season. Anderson anchored a backline that allowed only three goals in conference play and helped the Pride post 11 shutouts. She also contributed on the attack, finishing with two goals and two assists, with both of her goals game-winners. Sophomore Bella Richards, an All-CAA second-team selection, joined Anderson on the preseason All-CAA team. The Bison was predicted to finish fourth in the Patriot League, according to the conference’s preseason poll, garnering two first-place votes. Bucknell finished second last season, capturing the tournament title and a berth in the NCAA Tournament for the second successive season. The Pride and the Bison have met once before, a 4-2 Hofstra win in 2014. The Stags were picked sixth in the Metro Atlantic Athletic Conference preseason poll, while Alex Madden, the reigning MAAC rookie of the year, was named to the preseason all-conference team. Fairfield (6-9-2) finished sixth in the league in 2017. Madden led the squad with seven goals. The Pride and the Stags have met five times, but just once in the past decade, a 1-0 Fairfield victory in 2011. Hofstra will remain home, hosting Boston University Aug. 23. Friday’s game at Bucknell will be live streamed on the Patriot League Network, and is a Stadium TV OTA game, which will be available on TV in certain markets. Sunday’s home opener will be available via Pride Productions live video and audio, with the audio broadcast also available on 88.7 FM WRHU in Hempstead and the surrounding areas. Both games will be available via live stats. 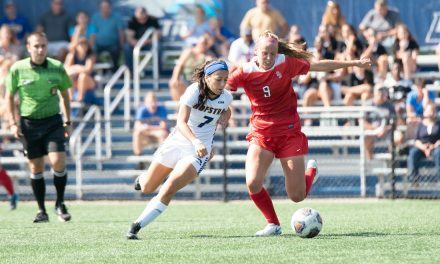 Links to game coverage, as well as TV clearances for Friday’s games, can be found on this page and the Hofstra Women’s Soccer schedule page.